Welcome home in desirable Woodstone Estates, minutes to LSU, Downtown, OLOL, BR General. 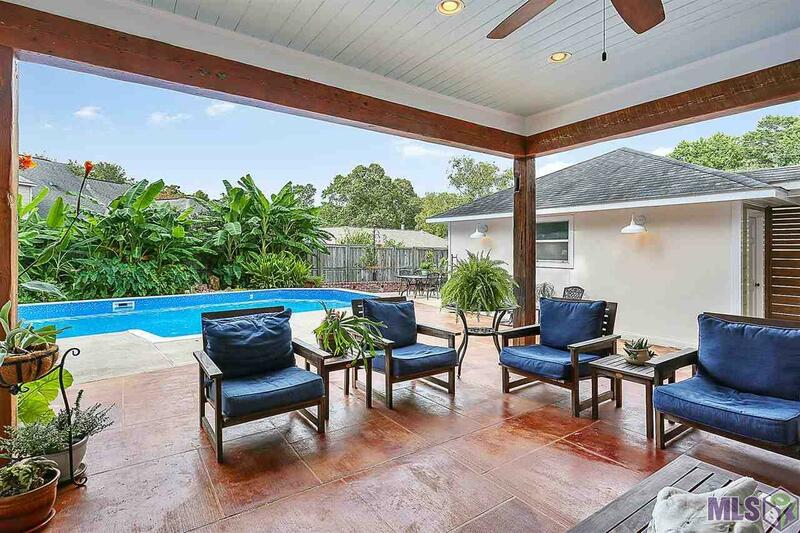 Enjoy the summer evenings by the pool or under the recently added back patio. This 4-bedroom 3.5 bath with a BIG bonus that could be a 5th bedroom. Living room has fireplace with gas logs, a computer nook and windows overlooking the pool. Dining room is being used as an office Master suite is downstairs with his and her closets and vanities, jetted tub, separate shower. 3 oversized bedrooms upstairs 1 has vaulted ceiling with 2 full baths. Dream kitchen with gas cook top, double ovens, walk in pantry, granite, large island, breakfast table overlooking the pool. Side yard has a great garden area with tomatoes, cucumbers and eggplant currently growing. Don't miss the chicken coop in the back yard, perfect for fresh eggs. Porte-cochÃ¨re and 2 car garage and extra parking for guest makes this house a great entertainers home.